CHICAGO (WLS) -- A Chicago holiday tradition opens Friday, just in time for our first snowfall of the season. 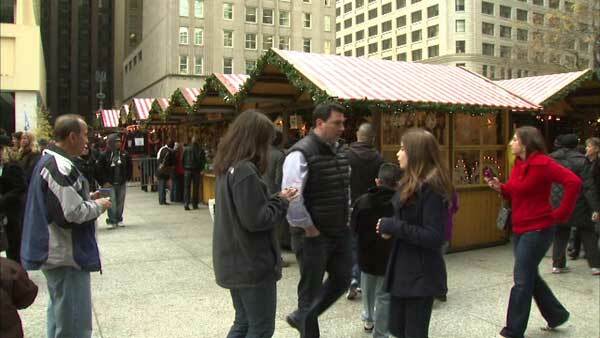 Christkindlmarket at Daley Plaza is a German-style bazaar featuring more than 50 merchants. Visitors can find some unique gifts there, like hand-blown ornaments, wooden toys and beer steins. They can also keep warm with the market's signature drink: hot spiced wine. The 20th annual Christkindlmarket will be open from 11 a.m. to 9 p.m. Friday and run through Dec. 24. For more information, visit www.christkindlmarket.com.